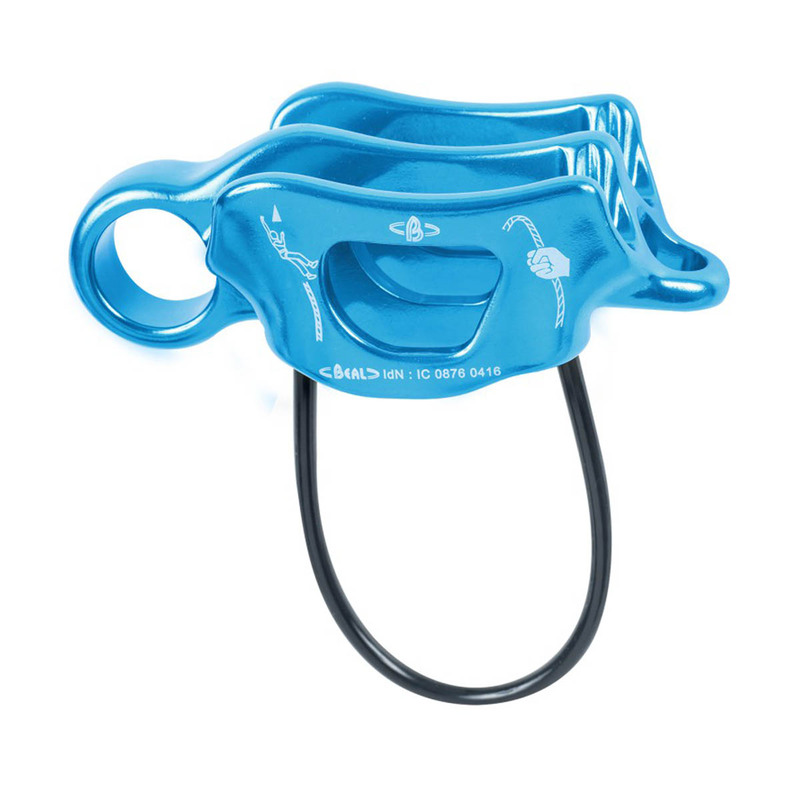 The Beal Air Force 3 is a belay device with guide mode that allows the lead belayer or guide to go “hands-free” when multipitch climbing. (Autoblocking mode automatically brakes the rope and catches the climber in the event of a fall, allowing the belayer to gather rope, set up for the next climb, or even just take a drink in between taking up slack.) The Air Force Three features Beal’s V-Groove friction system, designed to provide friction when it is needed and improve rope braking when the climber falls. Beal have designed this to still allow the rope to be given out smoothly. Straight edge decreases rope wear. Work exactly like BD ATC and Petzl Reverso but cheaper. Best for 9-10mm rope.